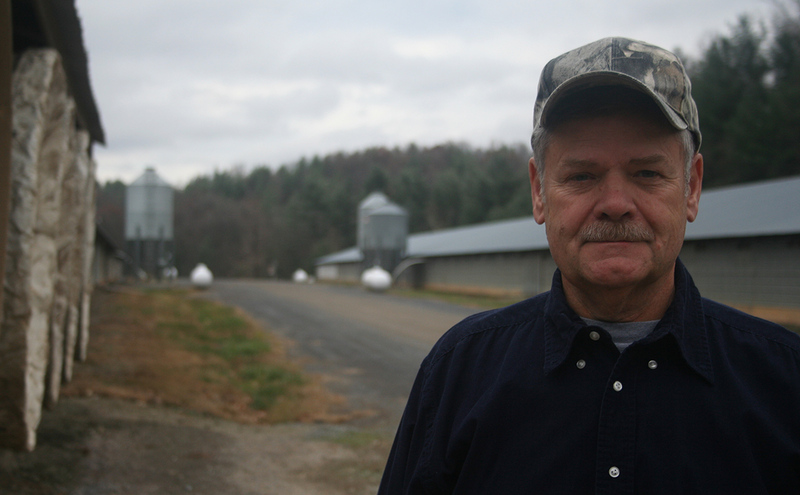 On our newest edition of Sound Bites, our series about our food and our world, we take a trip to Washington, DC, for a conversation on a number of issues around the poultry industry, focusing on the complex plight of contract chicken growers. We examine how the vertically integrated nature of the poultry industry often leaves chicken growers feeling powerless in the face of the large companies to whom they are contractually bound. We also highlight ways that poultry farmers are organizing to change that system, and how their allies in Washington are working to address the problems on a legislative level. Our guests are: Congresswoman Marcy Kaptur, who represents the 9th Congressional District of Ohio in the US House of Representatives; West Virginia poultry grower Mike Weaver, who is President and Co-founder of the Contract Poultry Growers Association of the Virginias; and Christopher Leonard, investigative reporter and author of The Meat Racket: The Secret Takeover of America’s Food Business. We close out Sound Bites with a recipe for vegan gluten-free alfredo from Naijha Wright, Co-Owner of Land of Kush Restaurant and Co-organizer of the Vegan Soul Fest. Other information about this episode below. Update on last week’s episode on the halting of completion of a 21-mile natural gas pipeline through northern Baltimore and Harford Counties: There will be a new public hearing on the pipeline project to solicit public comments about project impacts. The hearing is taking place on the evening of Monday, June 15, at Stevenson University’s Owings Mills Campus. Representatives from Columbia Gas and the Maryland Department of the Environment will be there to answer your questions and hear your comments. More information can be found by clickinghere. And join us Tuesday, June 16, at 6:30 p.m. for our next Good Food Gathering Town Hall meeting in partnership with the Baltimore Food & Faith Project. The meeting will explore efforts within Baltimore’s Sandtown-Winchester neighborhood to create jobs and increase food access. It will be held at theHarris Marcus Building, 1947 Pennsylvania Ave. For more details click here.